TWO GARDAÍ ARE recovering from injuries they sustained in an assault yesterday evening in Dublin. The two gardaí in their 30s are understood to have stopped a motorcycle in the Landen Road area of Ballyfermot, near Markievicz Park at 5pm. It is believed they were attempting to seize the bike from a youth when they were attacked. A garda spokesperson said the men were “badly assaulted” and both needed hospital treatment. Both are understood to have sustained facial injuries and one remains in hospital this evening. No arrests have been made but inquiries are ongoing and anyone with information is asked to contact Ballyfermot Garda Station. The Garda Representative Association (GRA) has estimated as many as 1,000 gardaí a year are assaulted, in a force of less than 11,000 men and women. The organisation has been calling for specific legislation to define strict sentencing terms for anyone who assaults a member of An Garda Síochána in the course of their duty. Email “Two gardaí assaulted after stopping motorcycle in Ballyfermot”. 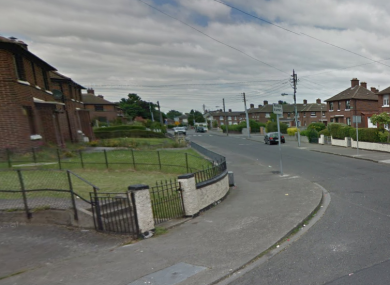 Feedback on “Two gardaí assaulted after stopping motorcycle in Ballyfermot”.